Press on; God’s Got This! 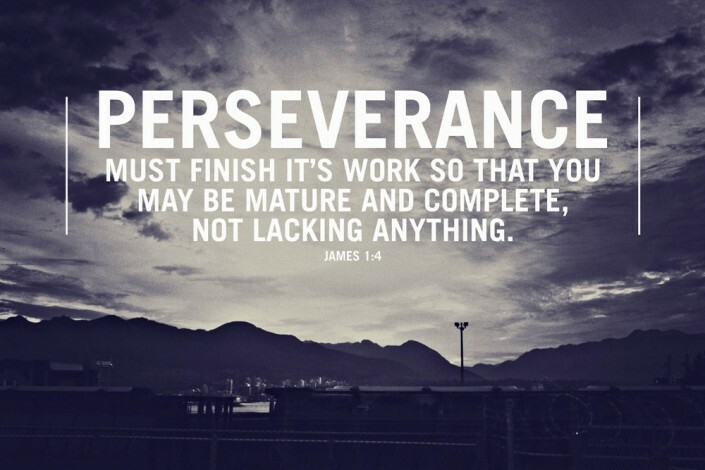 Throughout today’s blog entry I will continue the series, which I began last week, however this time I will underscore the importance of perseverance in the Christian life. Perseverance is a widely disseminated term particularly within the confines of Western Culture. Therefore, I feel that a working definition is required for purposes of clarity within this post. Perseverance(noun)- steady persistence in a course of action, a purpose, a state, etc., especially in spite of difficulties, obstacles, or discouragement. Perseverance(theology)- continuance in a state of grace to the end, leading to eternal salvation. life’s sometimes demoralizing struggles and hardships. No matter which walk of life we are pursuing, perseverance is an amazingly beneficial and vital virtue. Thankfully, out of God’s all-the-time goodness and His unconditional love, He freely provides a continuous stream of new mercies day-by-day as well as His Spirit-Empowering grace for those who love Him. These very things are what empower believers to continually seek (persevere) God’s Face and pursue His righteousness. Jesus tells us, “I am the vine; you are the branches. If you remain in Me and I in you, you will bear much fruit; apart from Me you can do nothing” (John 15:5). Therefore, it is critical that, as believers, we fully understand and accept that this divine form of perseverance is never done in our own strength but rather by constantly abiding in Christ and through being empowered by the Holy Spirit. Abiding in Christ is primarily accomplished through regularly spending time in God’s Inerrant Word: reading, studying, and meditating on all of the Rich Truths contained in God’s Word while maintaining both a receptive mind and a softened heart. As believers in Christ, Who has torn the veil between God and man, we should have an immeasurably high level of confidence in God(Hebrews 10:19-20). Furthermore, we should also have “…full assurance that faith brings, having our hearts sprinkled to cleanse us from a guilty conscience and having our bodies washed with pure water” (Hebrews 10:22). anything” (NIV). The NASB translation for mature and complete is perfect, which is the final stage for Christians known as glorification. Sanctification precedes glorification and glorification is only attainable for those who have perserved in the faith (which God promises to carry onto completion-Eternal Security (Philippians 1:6)). This is able to be put into action simply because of the fact that every believer has been sealed with the Holy Spirit(Ephesians 4:30)! In conclusion, perseverance is not only hugely important for our sanctification and by extension, our glorification, but it is essential! Ellicott’s Commentary beautifully describes perseverance in this context as, “the conscious strength of patient trust in God…at all times”. Please stay tuned for next week where I will continue this series by moving into the topic of character and its significance/role within the school of thought being discussed here. I pray that this blog entry is able to fortify every reader into not only understanding the importance of perseverance but to also stay encouraged. Lord, enable Your Bride to keep pressing on despite life’s troubles through constantly meditating on the awesome reality of You overcoming the world (John 16:33)! ← Do you really know your captain?